This web page is mainly about unlawful termination settlement amounts in the state of Wyoming. It is actually rare for good claims to go to trial, for the reason that they usually settle out of trial. Most of these litigation cases consist of mixed verdicts, implying that they involved a single, or possibly a number of claims of wrongful firing caused by firing in violation of public policy, pregnancy, age discrimination, sexual orientation, gender expression or gender identity discrimination, whistleblower, gender discrimination, disability, workplace retaliation or constructive discharge.bility, race, color, national origin, religion discrimination or constructive discharge. The table listed below shows a snapshot of the various types of claims filed together with their respective volumes in WY in 2017. Ben Peech was a highway patrol trooper working for the Wyoming Highway Patrol. He was fired from his job in 2007. He alleged that the reason of his termination was that he wanted to affiliate the Wyoming Highway Patrol with a trade union, the Fraternal Order of Police labor. The Highway Patrol’s official reason was that Peech made a phony drunken driving call before a drug bust. Such calls are routine subterfuge used in law enforcement. EEOC v T.I.C. – The Industrial Company Wyoming Inc.
Matthew Gilkey worked for TIC, a heacy construction company in Casper, Wyoming. Gilkey was fired from his job after the company discriminated against his disability. He had a leg amputation, and was not allowed to return to work without a doctor’s note stating he could perform his duties without restrictions. Also, the company refused to enter good faith discussions about Gilkey’s disability and reasonable accommodations. Kindred Nursing Centers operates the Mountain Towers Healthcare and Rehab Center in Cheyene, WY. The EEOC filed a lawsuit against the company after receiving a report that a pregnant woman was fired shortly after she informed her supervisor of her pregnancy. Such actions violate the Pregnancy Discrimination Act. EEOC v Dart Energy Corp. The EEOC sued Dart Energy and 2 related companies for racial discrimination, retaliation and wrongful termination. 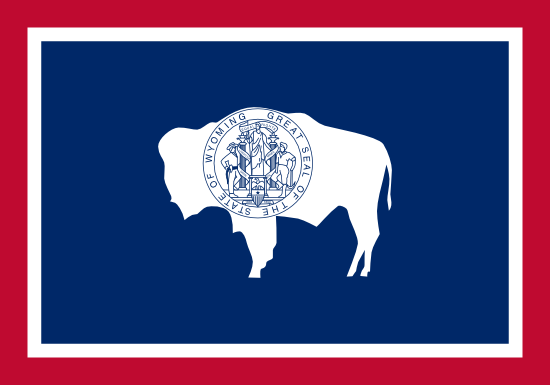 The group of companies provide well servicing solutions in Wyoming. The EEOC received reports that truck pusher Ken Nelson and other employees used derogatory terms to refer to Hispanic, Native American and black employees. The victims complained to management, but were told to do their job or quit. Several workers were demoted and fired after filing complaints with the Wyoming Department of Employment Labor Standards Division. When considering this catalog of wrongful firing settlements from Wyoming, bear in mind that the bigger sums are caused by punitive compensation, that are handed out to deter employers from carrying out the same type of inappropriate conduct. Punitive damages are especially rare. A large percentage of lawsuits settle for between fifty thousand to just a few hundred thousand dollars. Our selection of unlawful firing verdicts and settlements in WY was created for informational purposes. Even though you may feel resemblance to any of these lawsuits, do not forget that each and every single case is different. What is the average wrongful termination settlement in Wyoming? If you feel you have been wrongfully terminated, it’s easy to understand that you might want to find out the amount of money you are likely to receive for your unlawful discharge claim. In the event that you come to an agreement with the employer (or win your trial), the figure you obtain is generally dependant on these factors: medical costs, lost earnings, reason of discharge, lost benefits, job search costs and emotional distress. Punitive damages could be granted in rare cases, in the event the employer behaved egregiously. As you can see from the sample lawsuits above, presenting a typical settlement for wrongful dismissal cases in WY is tricky since each and every claim is different. The average wrongful termination settlement in Wyoming is between $5,000 – $90,000. Attorneys are certainly helpful in negotiating a larger settlement. The majority of jury awards are usually bigger, approximately $110,000 and $400,000. This is certainly one of the reasons companies prefer to accept a settlement outside of court. If you believe you were terminated for an illegal reason, here are tips on what you should do. To start, you will want to consult with a wrongful termination attorney in Wyoming to ascertain if you have a claim worth going after. Be sure you have adequate time to file the claim, read the Wyoming laws of limitations with regards to wrongful termination. Secondly, you’ll most likely need to file a timely claim with the Labor Standards Division of the Wyoming Department of Employment. Here are some best practices on filing a wrongful discharge lawsuit.